Mr. Royer focuses his practice on civil litigation in state and federal courts, both at the trial and appellate levels. He practices in the areas of local governmental liability, civil rights and constitutional litigation, commercial disputes, professional malpractice, and employment law. As part of his employment law practice, he represents employers in lawsuits filed under state and federal anti-discrimination laws—including Title VII of the Civil Rights Act of 1964, the Americans with Disabilities Act (ADA), and the Family and Medical Leave Act (FMLA). Mr. Royer also litigates insurance coverage disputes. 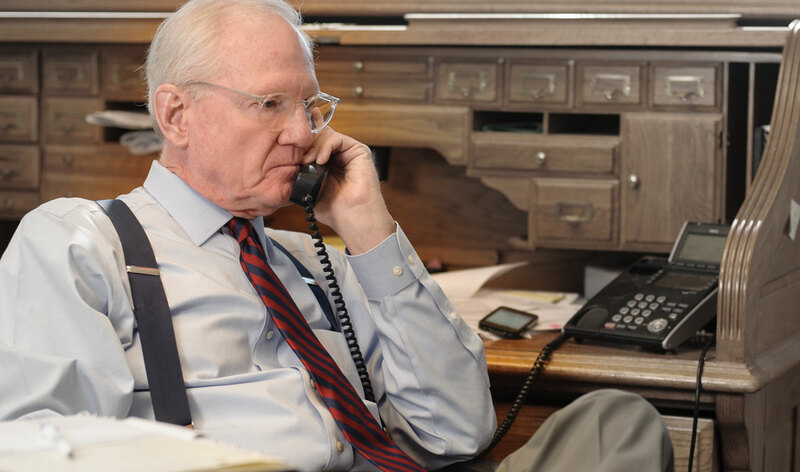 Mr. Royer serves as a court-appointed mediator in civil litigation for federal and state courts and is a member of the Panel of Neutrals for the U.S. District Court, Northern District of Alabama. Mr. Royer is rated by Martindale-Hubbell as AV Preeminent ®. 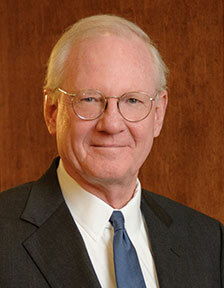 Mr. Royer has been selected for inclusion in The Best Lawyers in America since 2005. He is listed in the areas of First-Amendment litigation, labor and employment litigation, and municipal litigation. Best Lawyers named Mr. Royer as the Huntsville Best Lawyer of the Year for Employment Litigation for 2013. Best Lawyers names only a single lawyer in each practice area in a metropolitan area as its Lawyer of the Year for that metropolitan area. Lawyers honored as “Lawyer of the Year” are selected based on particularly impressive voting averages received during the exhaustive peer-review assessments conducted with thousands of leading lawyers each year. SuperLawyers.com has named him an Alabama Super Lawyer for 2008, 2011, 2012, 2013, 2014, 2015, 2016, 2017, and 2018. Mr. Royer has also been named a Fellow of the Alabama Law Foundation. Only one percent of the Alabama bar membership can be elected to the fellows program. The fellows program honors lawyers who have been members of the bar at least 10 years and who have demonstrated outstanding dedication to their profession and to their community. Voketz v. City of Decatur, No. 17-11941 (11th Cir. Sept. 13, 2018). Copeny v. Prosser, No. 5:16-cv-00865-KOB-SGC (N.D. Ala. Aug. 10, 2018). Davis v. Madison County, Alabama, 2018 WL 3631707 (N.D. Ala. July 31, 2018). Agundis v. Rice, 2018 WL 3428618 (N.D. Ala. July 16, 2018). Brannon v. Etowah County Court Referral Program, LLC, 325 F.R.D. 399 (N.D. Ala. 2018). Parton v. Dorning, 698 Fed. Appx. 580 (11th Cir. Sept. 29, 2017). Ransom v. Sherman, 697 Fed. Appx. 638 (11th Cir. Sept. 6, 2017). Ex Parte City of Guntersville, 238 So.3d 1243 (Ala.2017). Voketz v. City of Decatur, 2017 WL 5241248 (N.D. Ala. March 29, 2017). Bagwell v. Morgan County Commission, 676 Fed. Appx. 863 (11th Cir. 2017). Ransom v. Sherman, No. 14-1795 (N.D. Ala. Nov. 8, 2016). Horton v. Morgan County Sheriff’s Department, 2016 WL 6576986 (N.D. Ala. Nov. 7, 2016). Etherton v. City of Rainsville, 662 Fed. Appx. 656 (11th Cir. 2016). Queen v. Collier, 2016 WL 4073946 (N.D. Ala. Aug. 1, 2016). Parton v. Dorning, 2016 WL 3543470 (N.D. Ala. June 29, 2016). M&N Materials, Inc., v. Town of Gurley, 2015 WL 12830541 (N.D. Ala. Nov. 13, 2015). Etherton v. City of Rainsville, 2015 WL 6123213 (N.D. Ala. 2015). Ex parte State of Alabama ex rel. Alabama Policy Institute, 200 So.3d 495 (Ala. 2015). Elliott ex rel Listau v. Madison County, 2015 WL 1013202 (N.D. Ala. Mar. 9, 2015). Burns v. City of Alexander City, 110 F.Supp.3d 1237 (M.D. Ala. June 5, 2015). Washington v. Armstrong, 2014 WL 3734095 (N.D. Ala. July 23, 2014). Morris v. Town of Lexington, 748 F.3d 1316 (11th Cir. 2014). Lockhart v. Vest, 2014 WL 3396236 (N.D. Ala. July 10, 2014). Wood v. City of Albertville, 2013 WL 6839598 (N.D. Ala. Dec. 23, 2013). Joseph v. Allen, 2013 WL 3712334 (N.D. Ala. July 12, 2013). Benefield v. City of Albertville, 2013 WL 28051 (N.D. Ala. Jan. 2, 2013). Dukes v. Shelby County Drug Enforcement Task Force, 2012 WL 3260394 (N.D. Ala. Aug. 6, 2012). Thompson v. City of Muscle Shoals, Ala., 2012 WL 4815466 (N.D. Ala. Oct. 10, 2012). Vaughn v. Nacco Materials Handling Group, 440 Fed. Appx. 821 (11th Cir. 2011). North Alabama Elec. Co-op. v. New Hope Telephone Co-op., 7 So.3d 342 (Ala. 2008). Bishop v. Chilton County, 990 So.2d 287 (Ala. 2008). Payne v. Shelby County Commission, 12 So.3d 71 (Ala. Civ. App. 2008). Barbee v. Naphcare, Inc., 216 Fed. Appx. 851 (11th Cir. 2007). Peebles v. Mooresville Town Council, 985 So.2d 388 (Ala. 2007). Cook v. City of Columbiana, 961 So.2d 835 (Ala. Civ. App. 2007). Vaughn v. City of Athens, 176 Fed. Appx. 974 (11th Cir. 2006). Seventh Street, LLC v. Baldwin County Planning and Zoning Commission, 172 Fed.Appx. 918 (11th Cir. 2006). Thurmond v. City of Huntsville, 904 So.2d 314 (Ala. Civ. App. 2004). Ex parte Pelham Tank Lines, 898 So.2d 733 (Ala. 2004). Pompey v. Lumpkin, 321 F.Supp.2d 1254 (M.D. Ala. 2004). Ex Parte Blankenship, 893 So.2d 303 (Ala. 2004). Borders v. City of Huntsville, 875 So.2d 1168 (Ala. 2003). Telfare v. City of Huntsville, 841 So.2d 1222 (Ala. 2002). Beck v. City of Haleyville, 127 F.Supp.2d 1197 (N.D. Ala. 2001). Ward v. Morgan County, 769 So.2d 884 (Ala. 2000). “Protection for the Recreational Property Landowner: The Alabama Recreational Use Statutes,” Alabama Lawyer, January 2018. “Could the Door Be Closing on the Notorious ‘Beyond Authority’ Exception to Cranman Immunity in Alabama?,” Alabama Defense Lawyers Association Journal, Spring 2017 (with David J. Canupp). “‘Regulatory Takings’: Claims Under the Alabama Constitution Following Town of Gurley v. M&N Materials, Inc.,” Alabama Lawyer, January 2015 (with David J. Canupp). “U.S. Supreme Court to Consider Whether Plaintiffs’ Lawyers Are Entitled to ‘Just a Little Bit More’ for Exception Performance in Fee-Shifting Cases,” Government Liability, May 20, 2009 (with David J. Canupp, published by the Defense Research Institute). “The Tort of Negligent Supervision and Personal Liability,” Alabama Defense Lawyers Association Journal, April 2006 (with Scott W. Faulkner). “§ 1983 Claims and State Remedy Requirements,” For the Defense, August 2005 (with Scott W. Faulkner). “Discovery and Claims Alleging Police Misconduct,” For the Defense, June 2003 (with J. Clark Pendergrass). “State Law Local Governmental Liability: A Primer,” Alabama Lawyer, July 2000. The Alabama Recreational Use Statutes, Fall Municipal Law Conference, Alabama Association of Municipal Attorneys, September 21-23, 2017. Change on the Horizon to the “Beyond Authority Exception to Cranman Immunity?, Legal Issues Facing City and County Governments (sponsored by CLE Alabama), May 5-6. 2017. Regulatory Takings Claims under the Alabama Constitution Following M&N Materials, Inc. v. Town of Gurley, Legal Issues Facing City and County Governments (sponsored by CLE Alabama), April 25, 2014. Regulatory Takings Claims in Alabama State Courts Following M&N Materials, Inc. v. Town of Gurley, Alabama League of Municipalities, April 2013. Liability Under 42 U.S.C. § 1983; Alabama Bar Institute for Continuing Legal Education, May 2002. State Law Limitations on Liability, Immunities, and Limits on Recovery Applicable to Local Governments; Alabama Bar Institute for Continuing Legal Education, May 2001. Capacity to Be Sued: Analysis of Effect Upon Liability, Immunity, and Statutory Cap on Damages; Alabama Bar Institute for Continuing Legal Education, May 2000. Trends in Local Government Law Liability: State Law Issues; Alabama Defense Lawyers Association, October 1999. State Law Issues in Municipal Law Enforcement Liability; Alabama League of Municipalities, April 1999. Local Government Employees in an Election Year; Alabama Bar Institute for Continuing Legal Education, May 1998. Legal Issues in Jail Litigation; Alabama Bar Institute for Continuing Legal Education, May 1995. Member, Board of Directors, Huntsville Museum of Art Foundation, 2001-2012. President, Tennessee Valley Chapter, Sons of the American Revolution, 2012-2013. Alabama Assistant Attorney General, 1972-1978. Alabama State Bar Commissioner, 1983-1989. Lawyers Advisory Committee, U.S. Eleventh Circuit Court of Appeals, 2002-2008 and 2017 to present. Non-Appropriated Fund Committee, U.S. Eleventh Circuit Court of Appeals, 2012 to 2017. U.S. Magistrate Judge Selection Committee, U.S. District Court, Northern District of Alabama, 2012. U.S. Magistrate Judge Selection Committee, U.S. District Court, Northern District of Alabama, 2013. Bench and Bar Advisory Committee, U.S. District Court, Northern District of Alabama, 2014 to present.